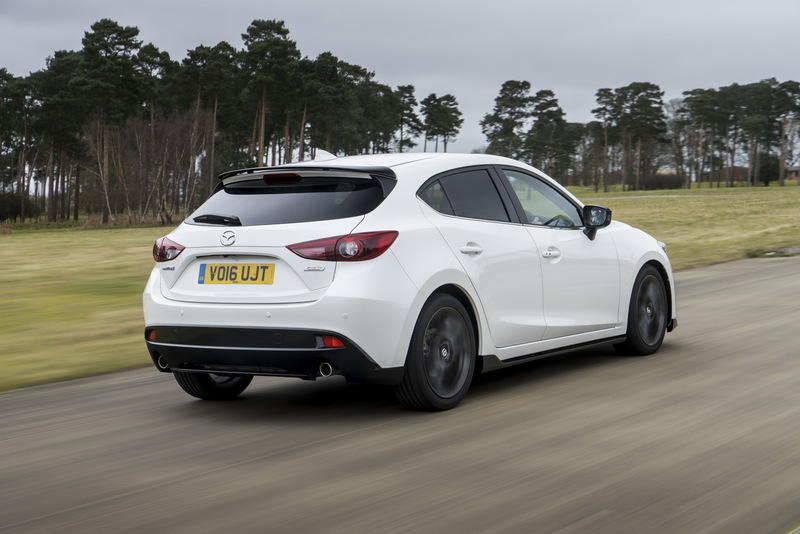 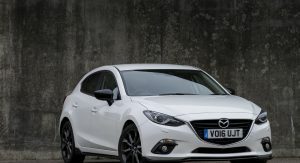 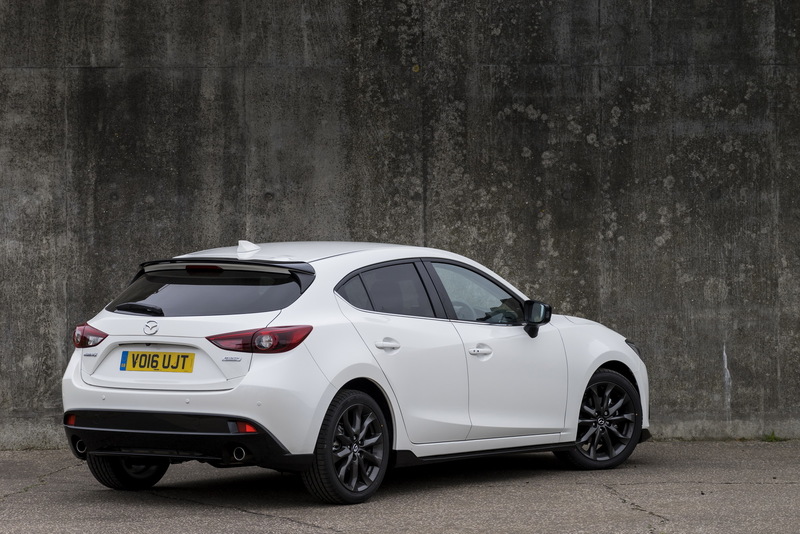 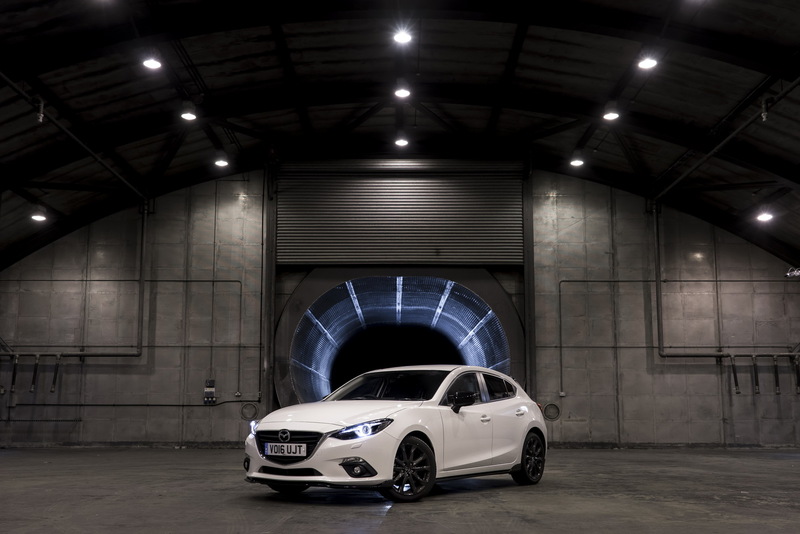 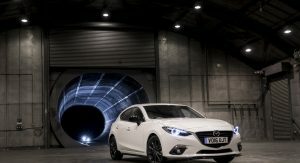 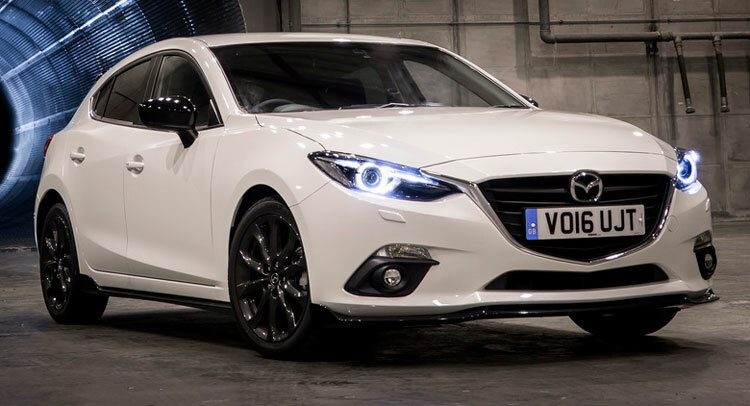 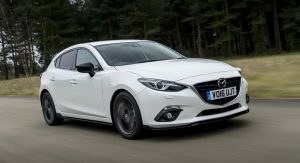 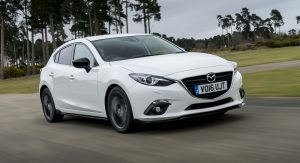 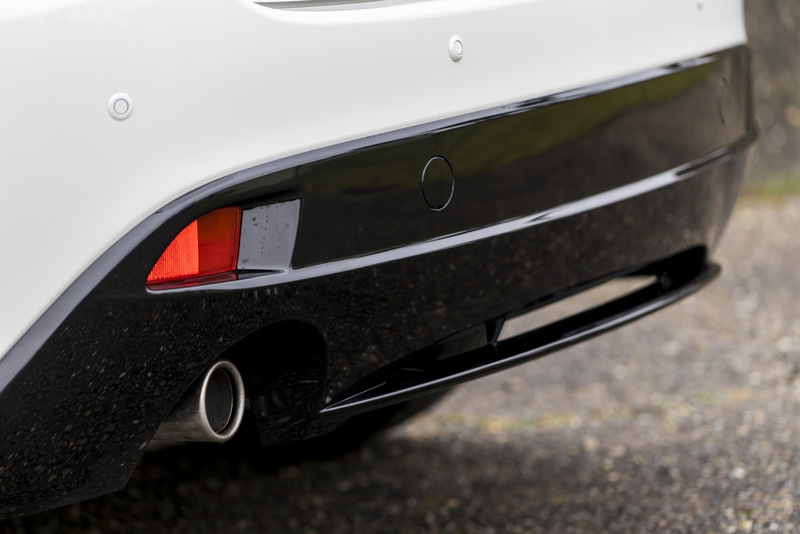 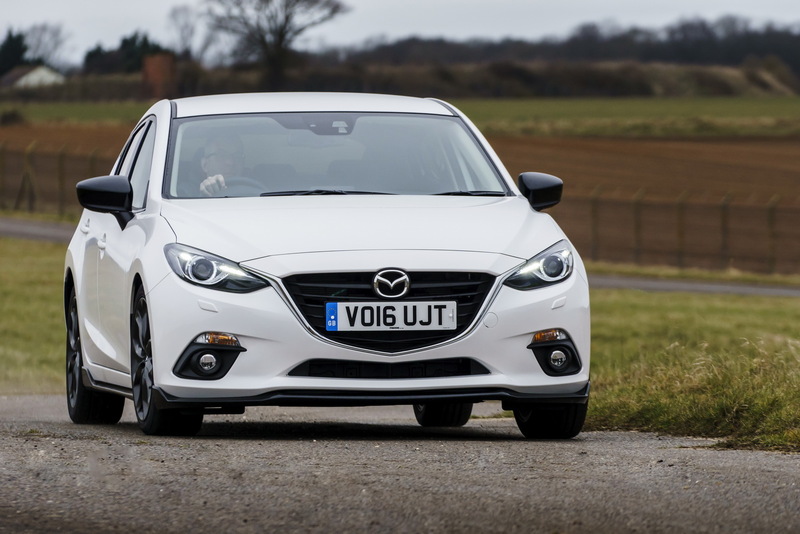 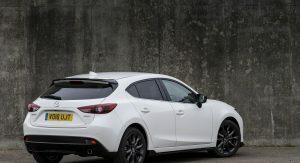 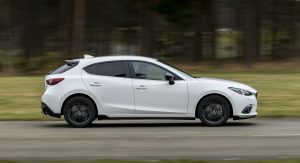 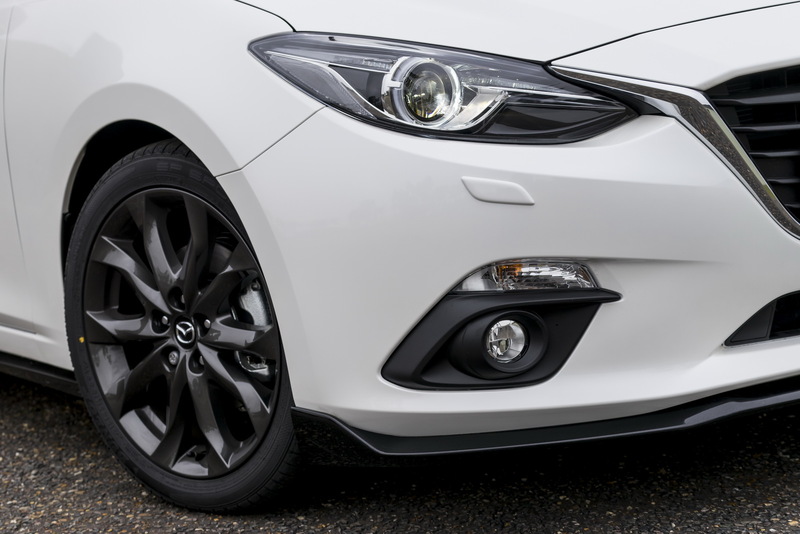 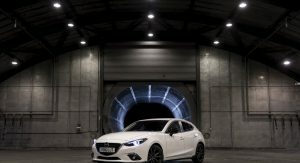 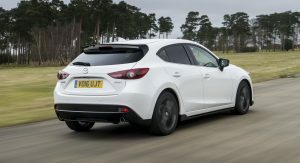 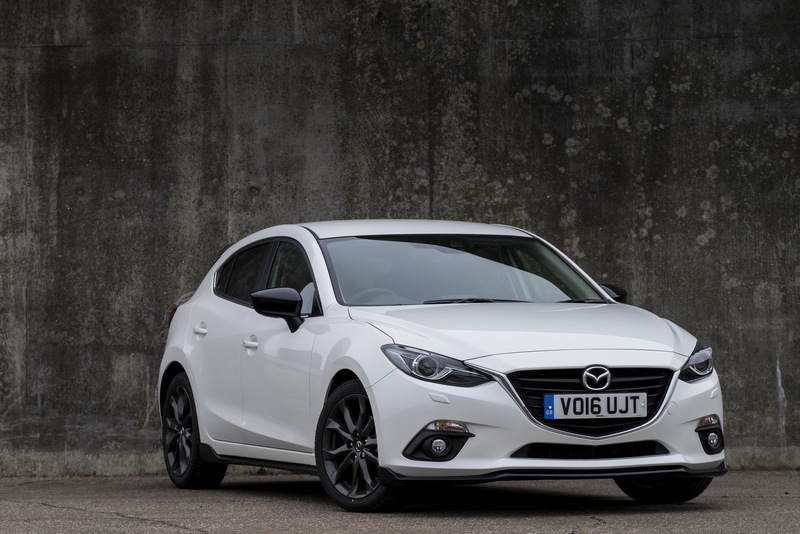 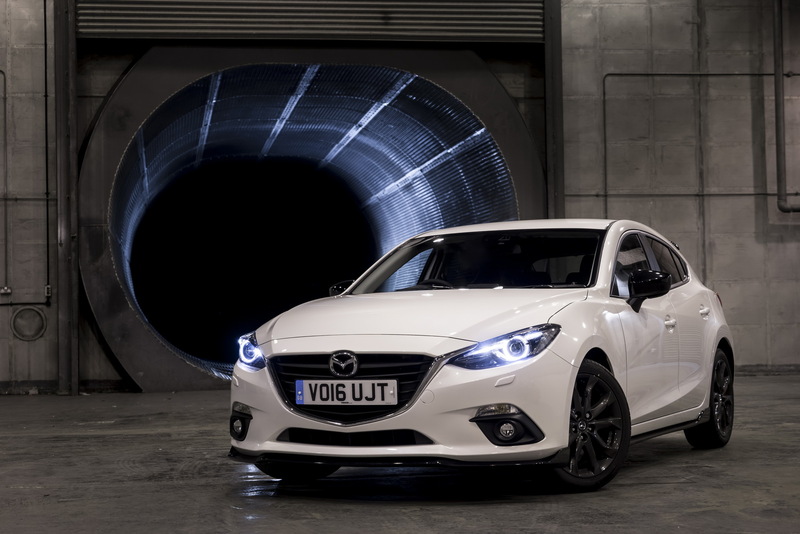 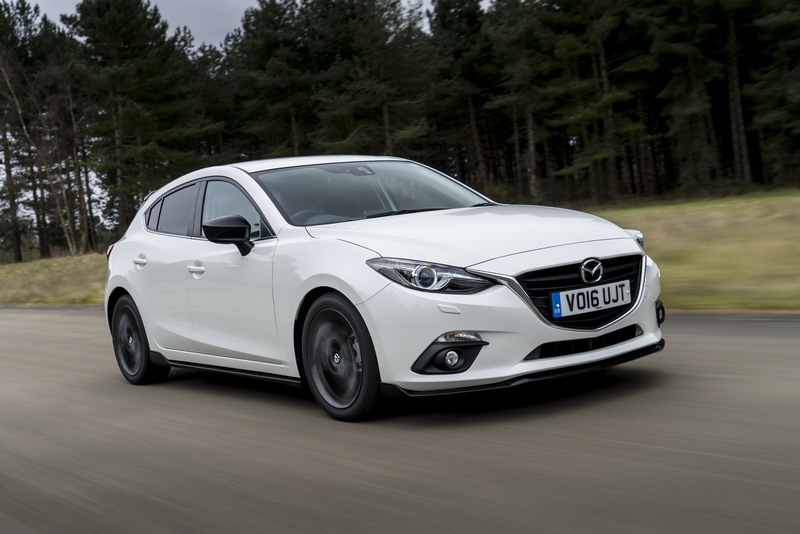 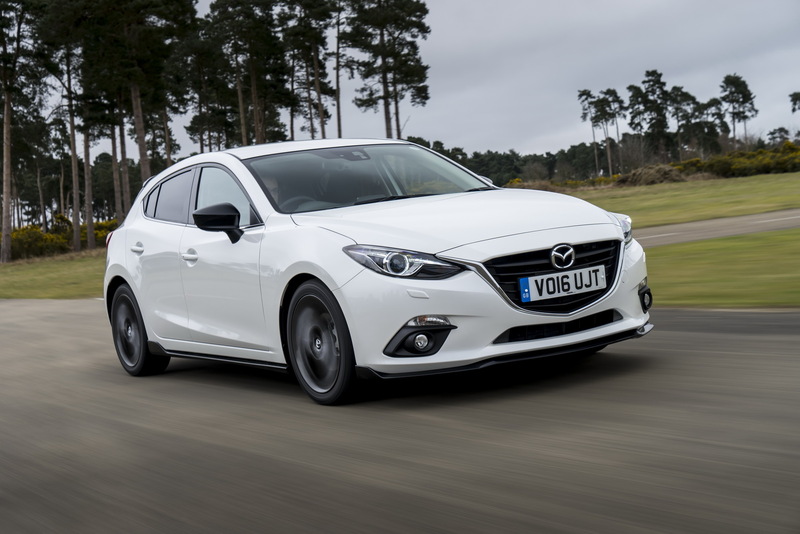 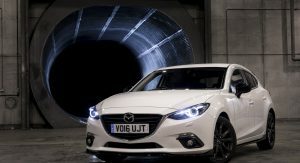 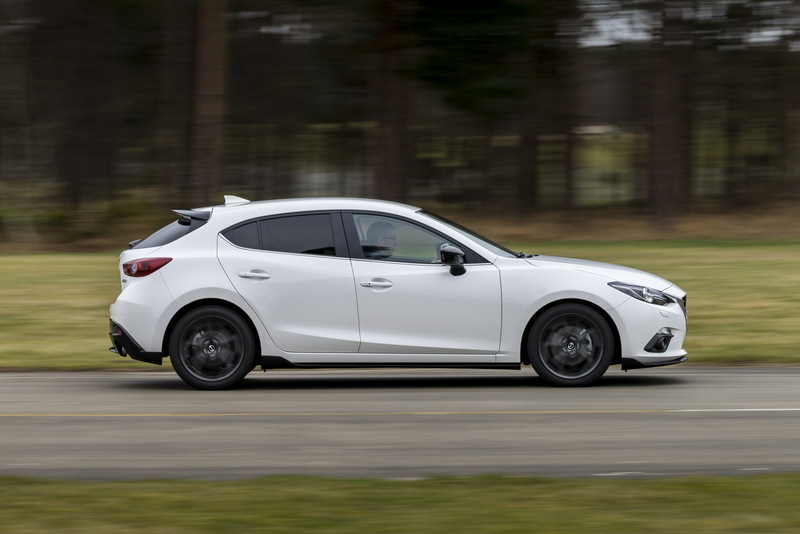 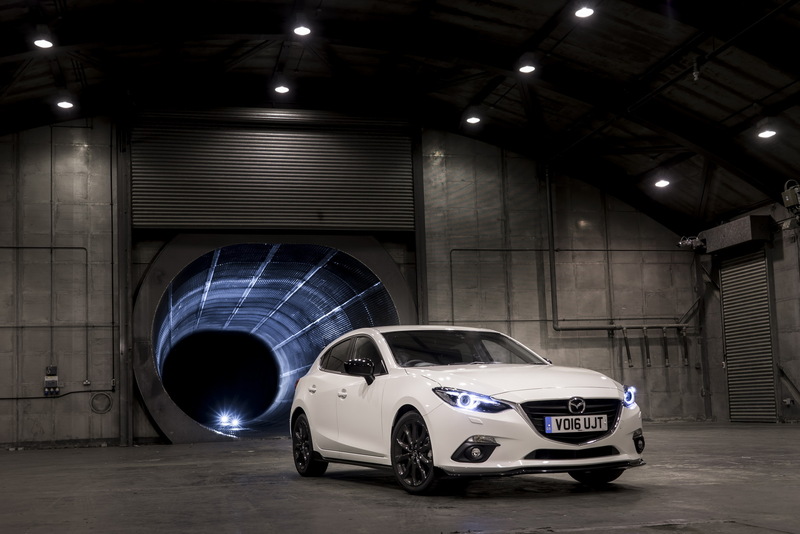 Mazda has boosted its compact car range with the addition of a Sport Black special edition, which will arrive in dealerships from April 1. 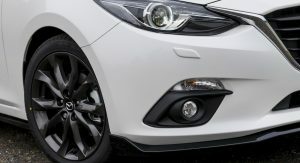 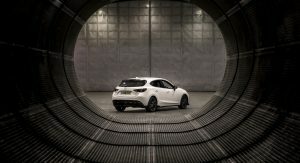 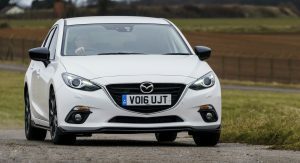 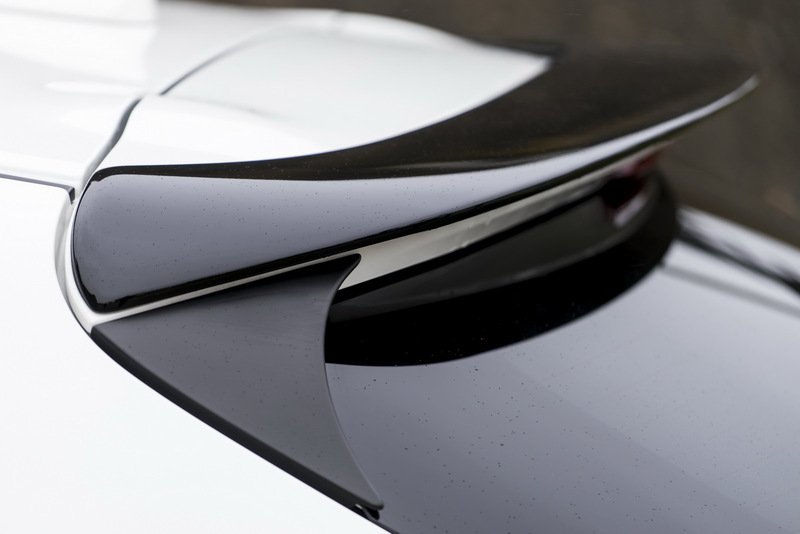 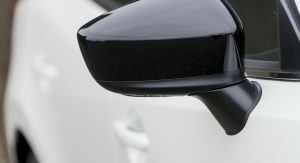 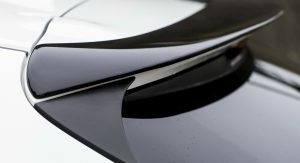 Priced from £20,995 ($29,770) and offered exclusively in the hatchback body style, it comes with a choice of two colors, Soul Red Metallic and Snowflake White Pearlescent, sporting styling enhancements that include front splitter, door mirrors, side skirts, rear bumper treatment and roof spoiler finished in Brilliant Black, joined by 18-inch Dark Gunmetal alloy wheels with a unique pattern. 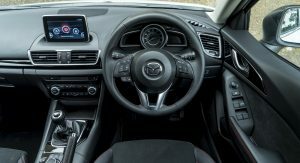 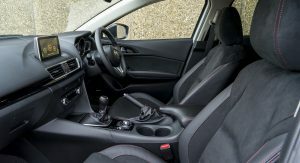 Inside, the special edition Mazda3 has exclusive half leather/half suede seats, complemented by the standard equipment list that checks Multimedia Commander, integrated navigation, 7-inch color touchscreen, rearview camera, Bose sound system, cruise control, dual-zone climate control, smart keyless entry and bespoke carpets. 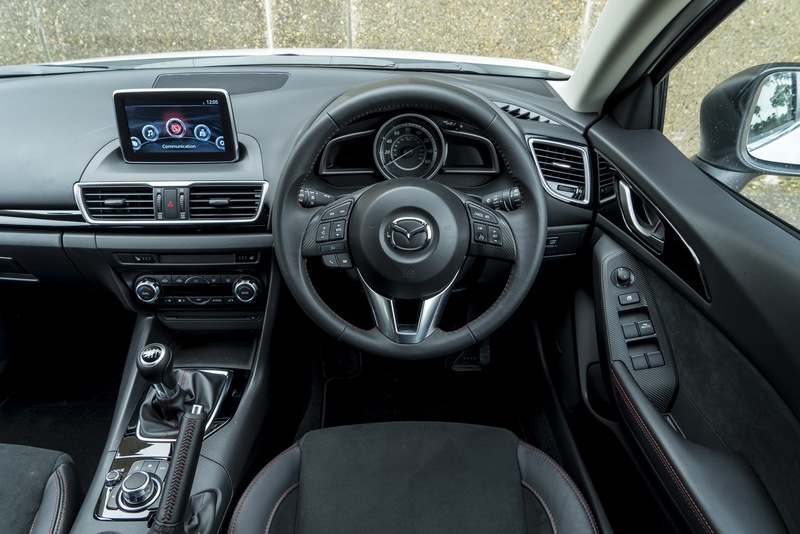 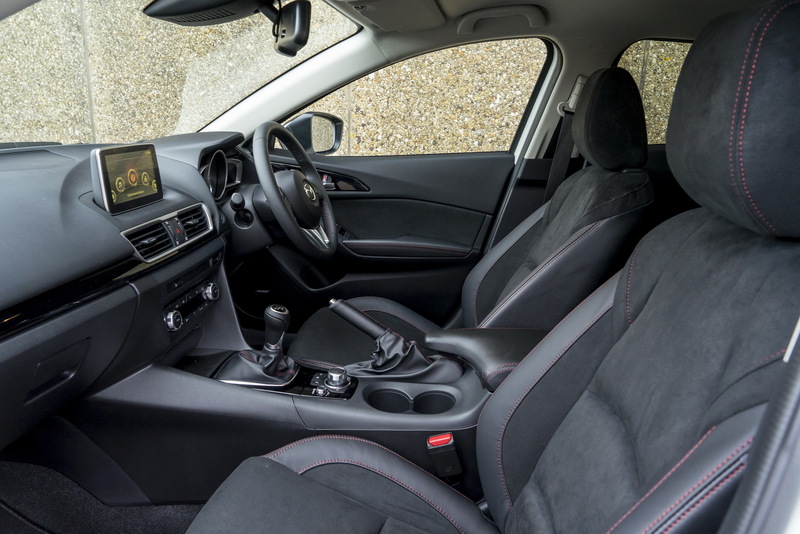 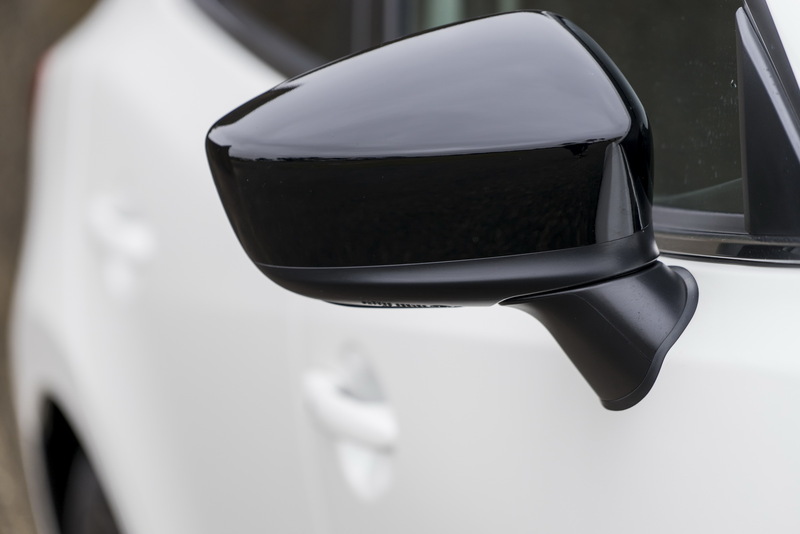 Offered at no extra cost are the Internet app integration for radio, Facebook and Twitter, AUX, 2 USB inputs, auto-dimming rearview mirror, leather-wrapped steering wheel and gear knob, smart city brake and lane departure warning. 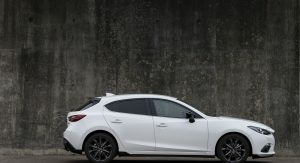 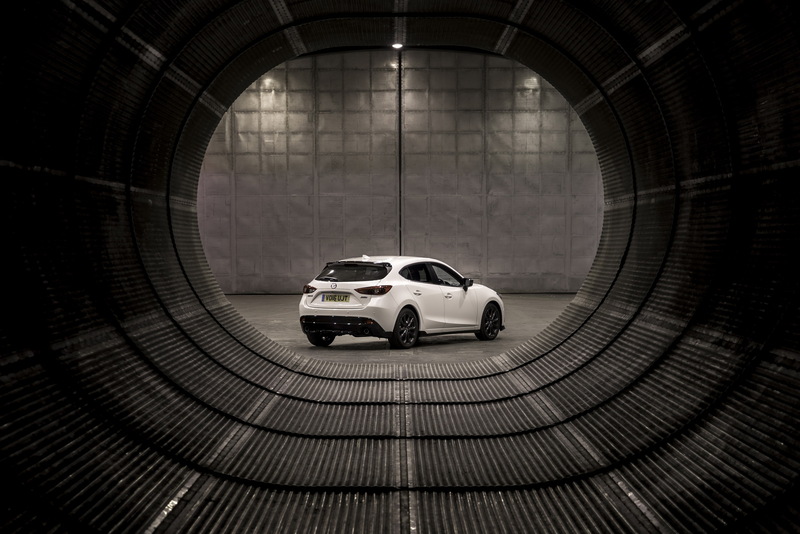 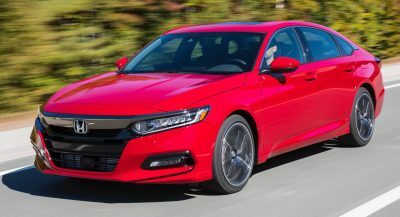 The special edition is powered by a 2.0-liter Skyactive engine delivering 120 HP and 210 Nm (pound-feet) of torque, mated to a six-speed manual transmission. 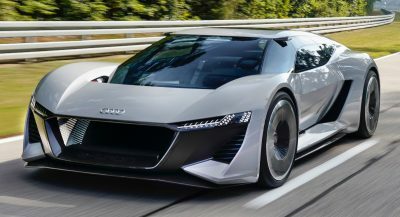 Accelerating from 0 to 100 km/h (62 mph) takes 8.9 seconds, top speed is 195 km/h (121 mph) and fuel consumption stands at 43.5/65.7/55.4 mpg UK (36.2/54.7/46.1 mpg US / 6.5/4.3/5.1 l/100 km) in urban, extra urban and combined. 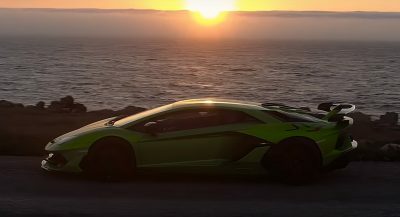 This car needs more interesting colors. 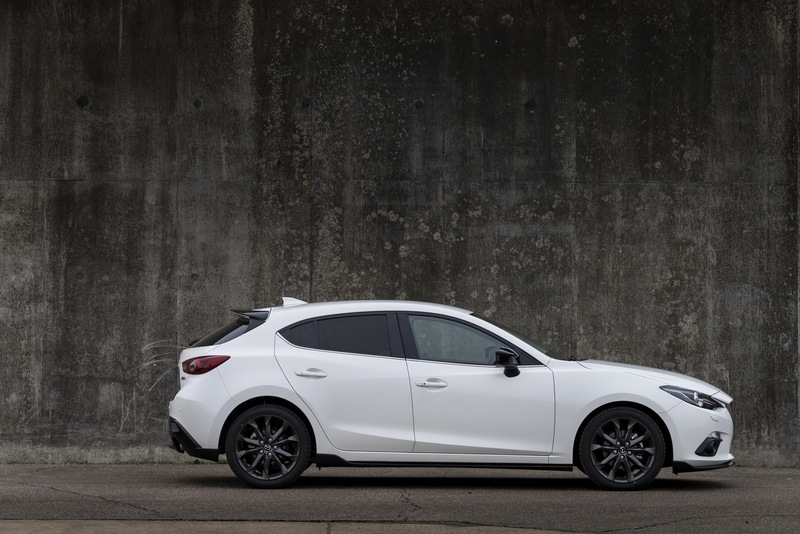 Wait a minute… please tell me those engine numbers are a typo: 120hp with 210 lb-ft of torque? 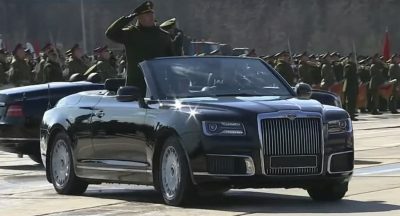 I’m guessing (hoping) that the HP number should have been 210hp? 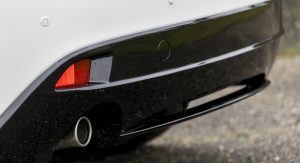 It’s actually 154 lb-ft .